The inpatient treatment option is usually reserved for people suffering from severe cases of mental disorders. These patients have more or less lost control over their actions or at lost of how to deal with their conditions. Their mental illness may have also severely affected their relationships with their family and friends, or caused self-harm. It is important to have check-ups or consultations with your attending psychiatrist so he or she may arrange your inpatient treatment admission when necessary. 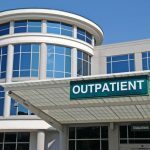 Most people often prefer to undergo outpatient treatment so they don’t feel as if they’re being confined or imprisoned within the walls of a hospital. However, by accepting inpatient treatment in a specialized mental health center or hospital, patients are able to receive more intensive care and support. Psychiatrists and medical staff can offer a comprehensive diagnostic of your condition and modify a better treatment program more suited to your illness and needs. They are able to monitor your progress constantly and in a highly individualized manner. Therefore, they are able to carefully evaluate your treatment and decide whether or not you may need additional therapy in certain areas to hasten your recovery or suggest an alternative medication. Inpatient treatment is usually offered to people suffering from a wide range of mental illness, such as emotional and behavioral disorders, psychotic disorders, mood and personality disorders. A patient may even be in need of a variety of treatment or therapeutic activities, so careful observation and evaluation are vital to a high chance of recovery. Some of the mental health services offered includes appropriate therapeutic activities that have proven to improve certain conditions in a closely supervised environment. A patient’s treatment plan may be a combination of individual or group therapy, psychotherapy or behavioral management. Most hospitals would also offer family counseling and recreational activities. While most inpatient treatment programs are short-term, there are some cases that requires patients to be continuously monitored before receiving outpatient treatment options. After completing the inpatient treatment program and being deemed ready to assimilate back to your daily routine, the medical staff of experts will assist you in connecting with an outpatient treatment service provider as well as develop a comprehensive treatment plan for your continued journey to full recovery.